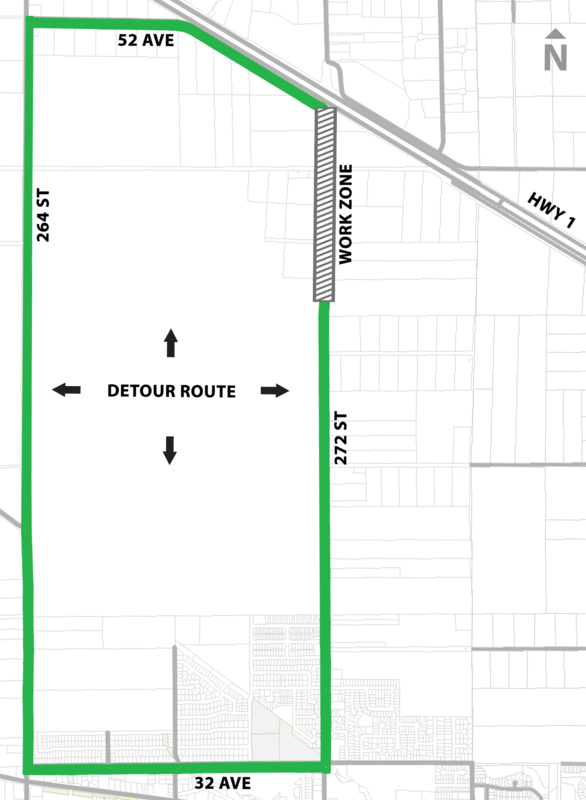 272 Street, from 43 Avenue to 52 Avenue, will temporarily close to traffic between Monday, January 28 and Friday, April 19. This closure will facilitate the replacement of a sanitary sewer forcemain. A detour route will be in place as shown on the map below. Local access will be maintained. For the latest traffic impact updates, visit www.tol.ca/roads.